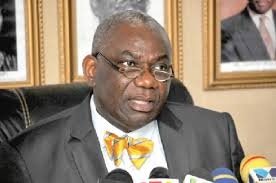 Ghana will participate in Regional Energy Co-operation Summit 2018 slated for Abidjan, Cote d’Ivoire, from January 24 to 25. The summit will establish the roadmap for sustainable electricity trade in ECOWAS’ booming gas and energy markets. The Ministry of Energy together with the Energy Commission of Ghana, Electricity Company of Ghana and GridCo, the Ministry of Energy will be in attendance at ministerial level alongside their distinguished counterparts from Burkina Faso, Mali and Nigeria to present some of the latest projects seeking investment and strategise regional initiatives for power, infrastructures and gas development. Attracting market leaders such as ENGIE, Siemens, Manitoba Hydro International, METKA, Wärtsilä and BLP LLP and endorsed by ANER, the regional summit continues to be the annual platform where public and private stakeholders and industry experts can stay up-to-date with upcoming projects in the pipeline and new strategies to unlock gas and power trading in West Africa. With the arrival of Côte d’Ivoire’s first LNG-import terminal and ambitions to establish a regional hub for gas distribution, LNG industry leaders CI-GNL and TOTAL will join Director General, Debo Barandao of West Africa Gas Pipeline Authority Company (WAGPA) to discuss regional gas development. Amongst distinguished energy leaders who will evaluate and assess energy solutions across West Africa that will provide further economic prosperity and industrial growth and ensure sustainable energy security, are Mr. Boakye Agyarko, Ghana’a Minister of Energy, Mr. Alfa Oumar Dissa, Minister of Energy, Mines and Quarries, Burkina Faso, and Mr. Malick Alhousseini, Minister of Energy and Water, Mali. Others are Mr. Alfred Ahenkorah, Executive Secretary, Energy Commission of Ghana, Mr. Abel Didier Tella, Director General, Association of Power Utilities of Africa (APUA), Jean Jaylet, Vice President LNG & Economy in the Gas, Renewables and Power, TOTAL, Robert Schlotterer, Lead Infrastructure Finance Specialist, Infrastructure, PPPs and Guarantees Group, World Bank, Peter Koninckx, Director of Power Generation and Transmission Solutions, Siemens, Subha Nagarajan, Managing Director, Overseas Private Investment Corporation (OPIC), Clare Sierawski, West Africa Country Manager, U.S. Trade and Development Agency, Power Africa.